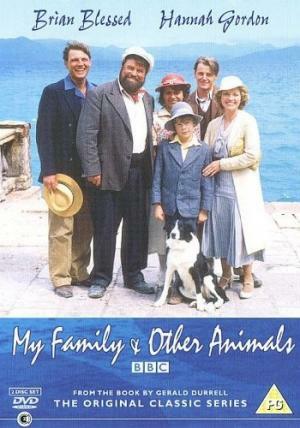 I recently rewatched the 1987 BBC version of My Family and Other Animals, a wonderfully indulgent adaptation of a wonderfully indulgent book. I was an avid viewer of the series when it first came out, which was my introduction to Gerald Durrell‘s books as a child. Gerald wrote three books in total about the magical five childhood years he spent with his family on Corfu – and experience which according to his elder brother Lawrence helped shape his future path as an animal collector, zoo owner and conservationist. 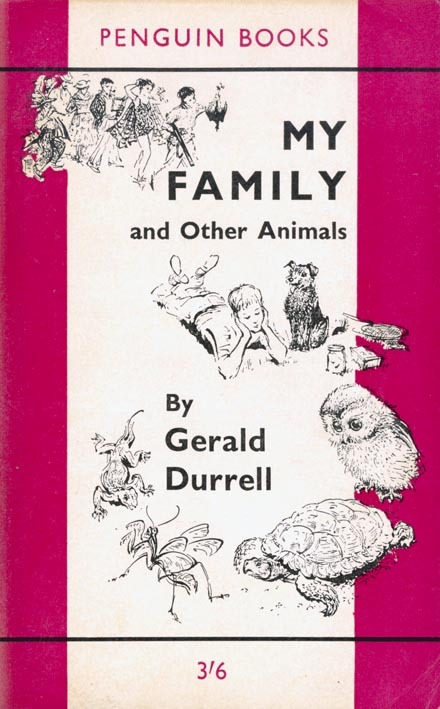 Gerald’s first and most famous Corfu book, My Family and Other Animals, was written in about two weeks in 1956; he returned to his childhood in Birds, Beasts and Relatives in 1969 and again in Garden of the Gods in 1978. All the books follow a similar pattern – tales of Gerald’s encounters with the local flora and fauna of Corfu interspersed with amusing incidents with his various family members and family friends, particularly Theodore Stephanides. The screenplay, interestingly enough, incorporates material from all three of Durrell’s Corfu books, including a dialog from Garden of the Gods in which ‘Mother’ reminisces about the glory days of her life in India, where all four of the Durrell children were born. In following the books, the screenplay also includes Gerald’s liberal use of artistic license. Lawrence Durrell is depicted as a bachelor (he does not have even a hint of a relationship), who lives with the rest of his family. In reality, he was married to a painter, Nancy Myers, and most of the time lived separately in a villa in Kalami, rather a distance from his mother and siblings. Though the Durrell family were Anglo Indians who did not really feel a great connection with England, the TV series portrays them as unswervingly English: the single dialog about Mother’s past in India notwithstanding, the family describe themselves as being ‘from Bournemouth’. While young Gerald is shown learning Greek and befriending locals, the others maintain their aloof Englishness throughout – although according to Gerald’s biographer, Douglas Botting, the whole family joined in enthusiastically with life on the island. One problem the series has is in depicting the length of time the family live on Corfu; since the young actor playing Gerald appears to be the same age throughout, it is hard to determine the series’ timeframe. It seems that the family spends just a few months on Corfu rather than five years.